As someone who prides myself on writerly persistency and consistency, I’ll be the first to admit I’ve started slacking on the blog lately. I think part of that is a combination of it’s August and I’m on the constant verge of heatstroke and it has been a busy summer (travel, weddings, beaches, oh my). The other part is that I’ve been balancing editing my first collection of short stories with working my way through the first few months at my new job as publicist at The Feminist Press. Wednesday, September 16th: A panel discussion of one of the most important books on Black Women’s Studies, All the Women Are White, All the Blacks Are Men, But Some of Us Are Brave. Over thirty years after its original publication, The FP is back with a new edition and an event at BookCourt in conjunction with the Brooklyn Book Festival. 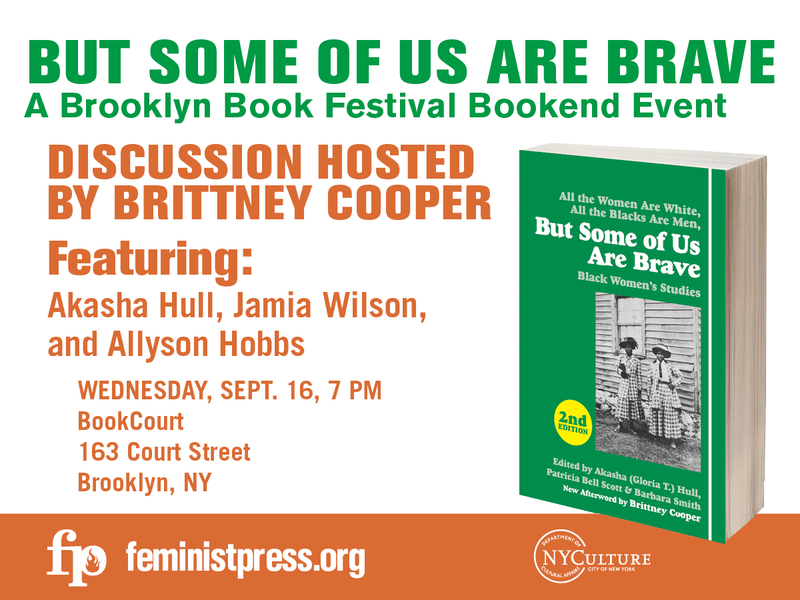 Editor Akasha Hull will be joined by Jamia Wilson, Allyson Hobbs, and moderator Brittney Cooper. You can find more information here. I’m particularly honored to be working on this event because one of the very first events I attended when I moved to Brooklyn two years ago was a Bookend event at BookCourt right before the Brooklyn Book Festival. I feel like I’ve come full circle. 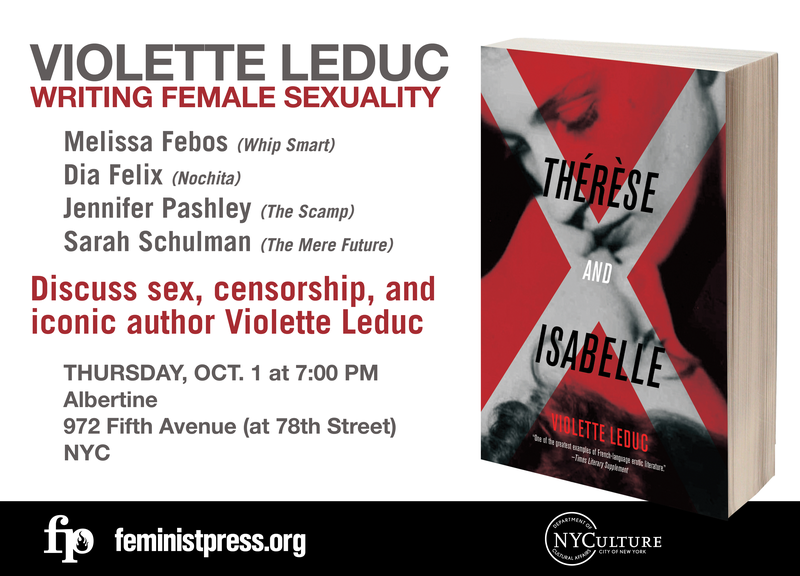 Thursday, October 1st: A panel discussion on queer writing, censorship, and female sexuality to celebrate the U.S. release of Violette Leduc’s iconic French love story Therese and Isabelle. Authors Sarah Schulman, Dia Felix, Jennifer Pashley, and moderator Melissa Febos will draw from their own experiences as writers to highlight and honor the legacy of Leduc’s often under appreciated work. More information here. Monday, October 12th: Feminist utopia night! 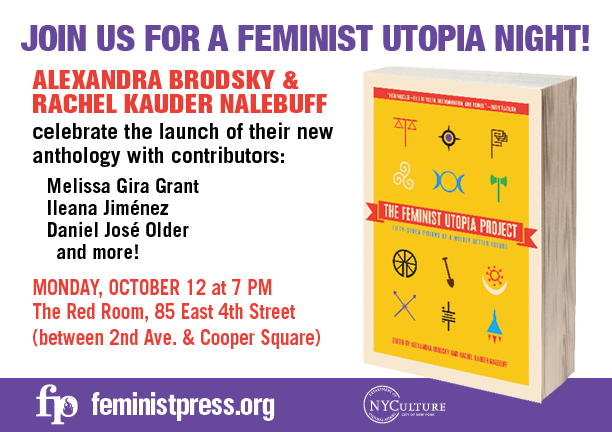 To celebrate the launch of their anthology, The Feminist Utopia Project: Fifty-Seven Visions of a Wildly Better Future, editors Alexandra Brodsky and Rachel Kauder Nalebuff will host an evening of readings (and drinking). More information here.